Sony's Xperia Z1, unveiled at IFA 2017 is it's new flagship smartphone. Becoming the first smartphone to come with Android Oreo 8.0 in the box, the phone features 3-D scanning camera. 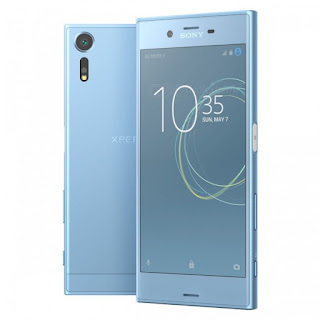 Known for its build quality, this time Sony has produced an unbelievably smart smartphone with some unique features. But the question is, will Sony acquire its top 5 mobile manufacturers as before with such new smartphones? Though the phone looks sturdy, with amazing features including some unique ones, the price doesn't seems reliable. Featuring latest snapdragon 835 coupled with 4 gigs of ram, the phone works smoothly. With Sony's Motion Eye Camera System, Sony says it is almost 5 times faster then other cameras. This time Sony added 3-D scanning system too and it not surprising that the camera works really well(though not good as compared to rivals). Phone has been rated IP68 for water and dust resistance, which is good .It comes with pre-loaded Android Oreo 8.0, it may seem quite cool, but seeing at what we are getting in such a price makes it somehow not worthy of wow appreciation. The 2700 mAh is also not very pleasing, seeing at what others are offering at this price, it may not be a good choice for battery conscious. The phone is overall a good buy, especially to one who are looking for smartphones with amazing build quality.